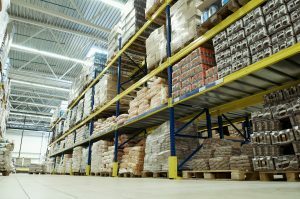 As a wholesale distributor for over 75 years, we understand the demands of running a broad line, specialty or bakery distribution business and the never-ending challenge of balancing your desire to provide a high order fill rate to your customers while coping with limited warehouse space, long vendor lead times, and high minimum order thresholds. To overcome this challenge, hundreds of food distributors of all sizes and types rely on Lentz as a supplier to their business. Given our purchasing power and our ability to receive inbound shipments of flour by rail, Lentz sells flour at competitive prices by the truckload or less-than-truck load quantities to distributors throughout the Mid-Atlantic region. In addition to supplying flour, Lentz is a go-to source for other food ingredients and ready-to-use bakery products when distributors need fill-in purchases or purchase inventory in smaller quantities that they cannot source directly from the processor or manufacturer. Our SQF Level II certification and our high order fill rate and on-time delivery performance allows distributors to confidently source products through Lentz to quickly and reliably meet their customers’ needs.